NEW YORK CITY (WABC) -- If you haven't had the chance yet to try Citi Bike in New York City, Wednesday will be a perfect opportunity to start as the popular bike share program will offer free rides all day. With bicycling reaching record highs in the city, Citi Bike will allow riders to take free half-hour rides across the system. Thanks to Noosa Yoghurt, all you have to do to take advantage of this opportunity is to use the Citi Bike app to get a free code, which you'll then be able to use at any dock for one 30-minute ride at a time. 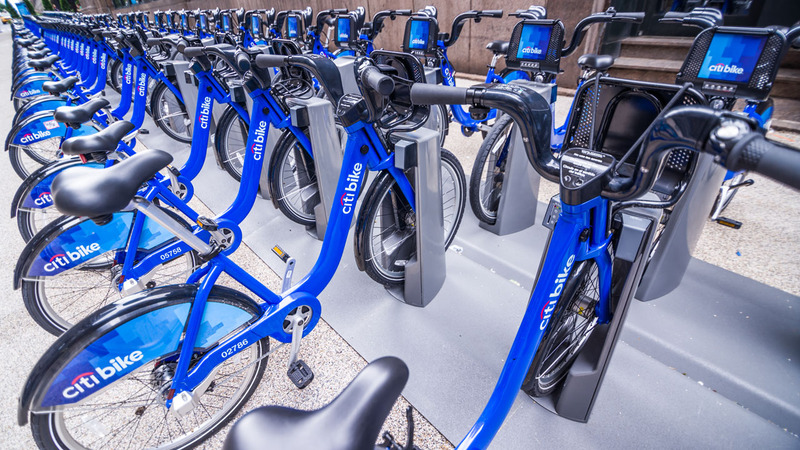 The ever increasing popularity of Citi Bike was highlighted on July 26th when the bike share program crossed 70,000 rides in a single day for the first time ever. "There's no better way to enjoy summer in New York than on a bike," Citi Bike General Manager Jules Flynn said. If you're not sure where to take your free ride, why not take a stroll along the West Side of Manhattan. Or maybe you could hop on a Citi Bike down in SoHo. Central Park is always a great place for a ride that features flat, hilly, or scenic terrain. If you want a great view of Brooklyn or Manhattan, why not bike across one of NYC's most famous bridges. Grab some friends and try taking a stroll through the bustling streets of Williamsburg. For more information, check out https://www.citibikenyc.com/.